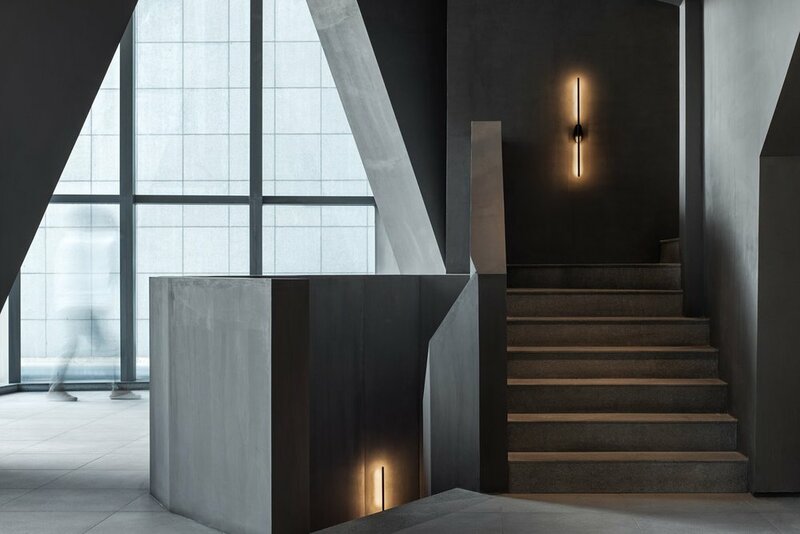 With no angle untouched, with every corner comes a new, dynamic perspective that promotes variety and aesthetic appeal. The wood-clad walls provide a unique texture creating a sense of protection and comfort the surrounding environment. The architects positioned the ordering and serving ground right in the middle with a stable island design which provides an easily recognisable point of engagement. 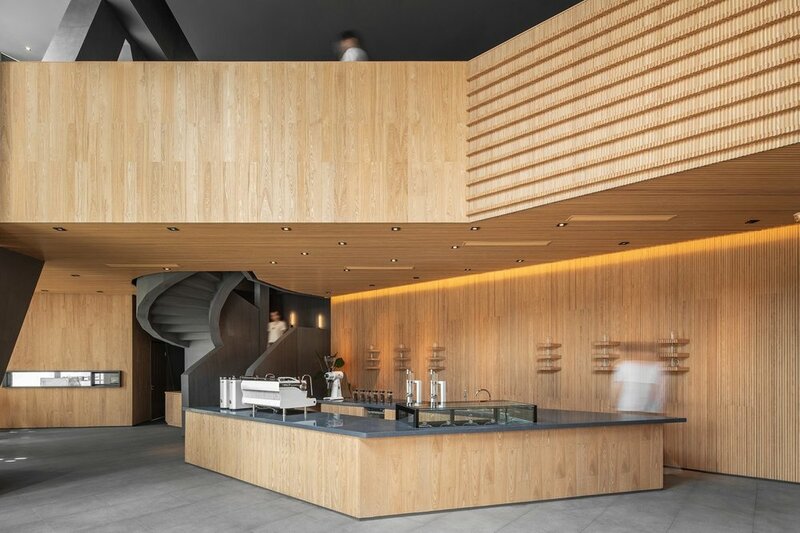 This has been designed so that you, as a customer, acquire your coffee before experiencing what is to offer on the second floor. Working in contrast to the wood found on the 1st floor, the architects installed a surrounding platform of burnt cement which provides variety to the orange ambience. 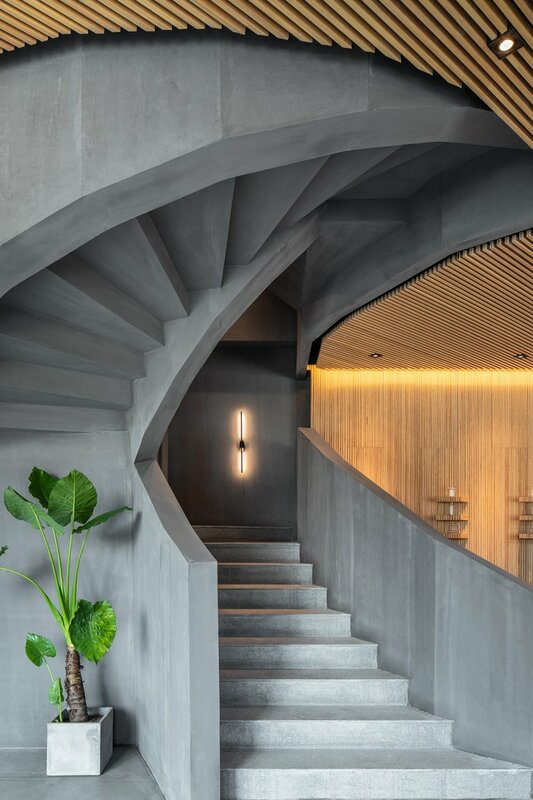 The burnt cement was used to visually encourage you to move up to the stairs to the mezzanine. With the addition of jars of coffee beans and detailed lighting fixtures, the second floor provides an experience for anyone visiting. 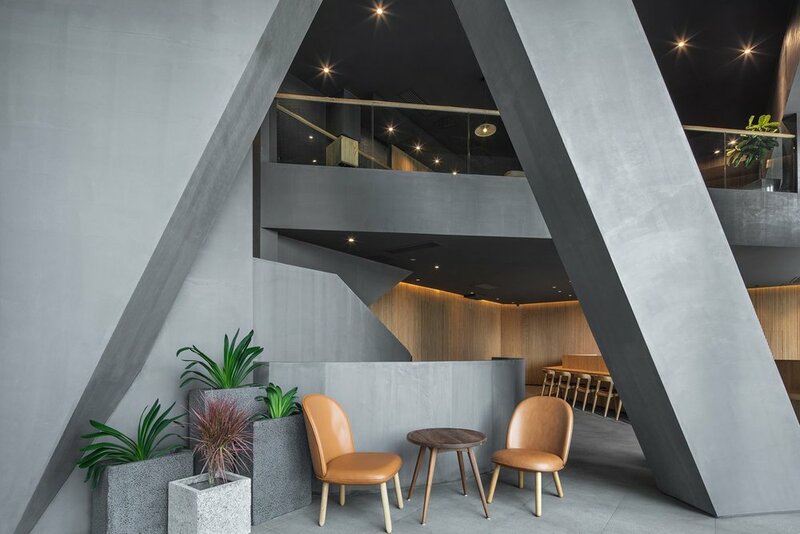 Mojo Cafe truly provides a unique experience through the simplistic layout, minimalist approach and elegant use of contrasting materials. This is definitely a cafe that we'd like to experience.